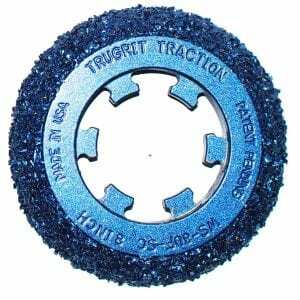 The 8″ TruGrit® Starter Kit for the Aries Badger LT3001, includes everything you need to be up and running plug and play with new TruGrit® Wheels, and once you own a starter kit, all you will ever need to purchase again are replacement TruGrits for $97 each. When choosing a sewer camera transporter, one thing you must consider is the cost of ownership. Repair cost can be very expensive, so it is important that you aren’t eating away at your profits on costly replacement wheels and hubs. 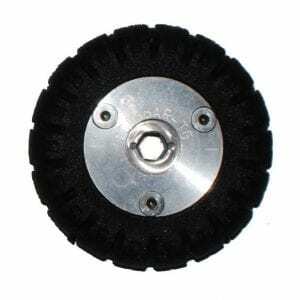 Wheels that require you to purchase a new hub every time the rubber wheel wears out, just doesn’t make sense. At TruGritTraction.com we strive to provide quality American-Made camera transporter parts at an affordable cost. 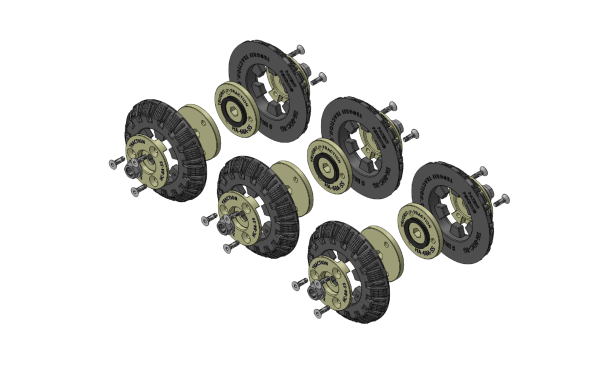 By creating innovative re-usable hub assemblies, we can save you hundreds of dollars on wheels alone.